Towns are the bases from which you will recruit both Heroes and Units. It is from your towns primarily that your income will flow to your military buildup. Towns also allow you to learn spells of certain types, and give you special abilities that increase along with the town’s development. 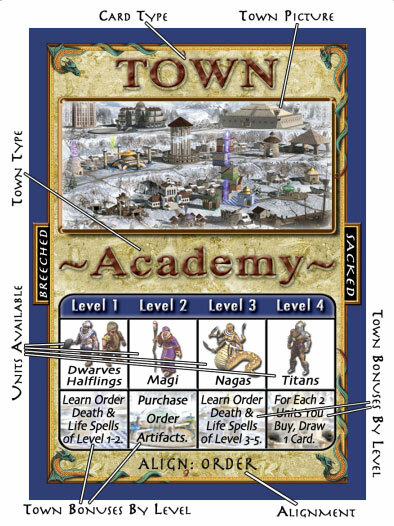 Below is a diagram you can refer to when the rules mention the entries on a Town Card.